Once again Etsy has done more changes. This time to the payment account. First they stopped letting us have our sales sent to PayPal, now they have it fixed so that every sale you get they automatically take out the fees owed and so if you have a sale for say $12.00 and you owe after shipping and fees, $11.00. You get $1.00. It will then go to your bank account. Instead of giving us the choice of paying at a later date or paying a certain amount now. It is immediately deducted. I am not happy about this and therefore after the holidays this year. I will only have 50 items or so on each name. The thing I used to do is pay for my bill and add a few cents or dollars to the amount. It would then reflect that I had a credit of say 1.50. Now can not even do that. I just am tired of all the changes. However at this time I do have sales and free shipping on many of my items. Until next time, see you at a later time. I am sorry about not having an Etsy post for so long. I have had ups and downs with my health all year, including surgery, cancer, and now radiation. I am guessing I will be okay and I am just trying to keep my head out of sand with Etsy and the listings. Sales have been okay, I have had 200 sales on StreetCrossingDesign.etsy.com, and 80 sales on VickiesVintageroom.etsy.com. This is of course since I started these shops. I will continue to try to list my items on Etsy more every day. I am trying to battle my own health and do work with Etsy and Ebay. 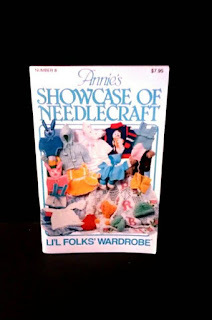 Today I am listing a crafting book on VickiesVintageroom and a pattern as well. Well, I am sorry I have not posted on here for a while. I have been trying to adjust to the new changes that Etsy has once again made. This time to the teams and forums. I have not been posting as much due to the fact that they take out the money immediately as soon as a sale comes in. If you owe more than you get on a sale, then you have your entire sale swiped from you. The Teams are no longer letting you show the item that you post of pictures. So you now have to click on each item individually to favor or heart that item. Oh well, you have to roll with the changes they make if you want to sell on Etsy. Life is how it is.